A big part of the real estate investing business is lead generation. If you don’t have a steady stream of leads coming in nothing else really matters. There are a handful of new investors who think that aligning themselves with successful real estate agents is enough to generate business. Quality real estate agents help but you need to do more than just wait for new listings to hit the MLS. There are many different ways to find new deals. Some of these are out of the box but all of them can be effective if you give them a chance. Here are five different options you can take to find new deals. Out Of State Property Owners. There are a large segment of landlords who entered the business out of necessity. When the mortgage market collapsed there were many landlords who took to renting their property as opposed to selling it. Over the years margins become reduced and the burden of being a landlord has slowly become too much. One of your starting points for finding new deals should be local rental property, specifically out of state property owners. All it takes is one eviction or one tenant issue to have a landlord sour on a rental property. This can be amplified if the property is 200 miles away. There are many landlords who simply want to get rid of the property but aren’t quite sure how. They don’t know exactly how much equity they have or what to do with their existing tenants. Since finding an out of state property owners address requires a little legwork the amount of competition will be greatly reduced. A coupled of well written letters with the subject properties address should get their attention. 90 Day Mortgage Late. One of the keys of generating action is to find motivated sellers to work with. It has been proven that once a homeowner is one month late the floodgates may be opened. By the time they hit 90 days they are well on their way to foreclosure. Instead of sending letters to homeowners in foreclosure you may be better off sending them when they are at 90 days. This extra month will eliminate many investors who only send letters to homeowners only in foreclosure. It also gives you additional time to work on a solution and build a rapport. Starting around the 120 day late mark the homeowner will begin receiving foreclosure letters. This serves as a real wake up and a call to take action. By sending letters at 90 days you now have a relationship with a motivated seller that may want a quick sale to avoid foreclosure. Another bonus with 90 day late homeowners is that the list you purchase is far less expensive than foreclosures. This will allow you to purchase more names or send out additional mailings. Tax Liens. A tax lien comes in just behind mortgage liens listed on title. This is important to note because a tax lien owner may eventually become the property owner. There are different tax lien laws depending on the state but tax liens can be a profitable niche to attack. Once a homeowner misses one tax payment the town has the right to place a lien on the property. If they do not pay their taxes owed the lien can be offered for sale. Tax lien ownership can give you the right to earn up to 18% interest or in some cases own the property at a discount. Instead of finding a tax lien list online you can go to your local town hall. After every tax billing cycle they will generate a list of homeowners delinquent on their taxes. If the taxes don’t come current eventually they will lose their home. Divorce. It is an unfortunate fact but everyday there are thousands of people that go through a divorce. By the sheet nature of divorce many of these require properties to be sold to liquidate assets. Depending on how long the homeowners have been in the property there is a chance that there is equity. This increases the chance that they will agree to a quick sale. You can find a list of recent divorcees online but a better method is to align yourself with a local divorce attorney. By reaching out to them and explaining that in some cases you can provide quick, cash closings you will slowly get your phone to ring. Mortgage Brokers. There is a big difference between your local neighborhood bank and a mortgage broker. A mortgage broker often works with several different banks and has access to different loan programs. They also come across all different kinds of buyers and sellers. They can work with hard money lenders just as easily as someone looking to refinance. There are many people who don’t fit into traditional loan programs but need to take some kind of action. If you reach out to just five local mortgage brokers the odds are that you will get at least a handful of prospective deals every month. The biggest thing with finding new deals is to go out and get them. New deals will not just fall on your lap. Keep trying new things but don’t give up on something if it doesn’t work the first time. 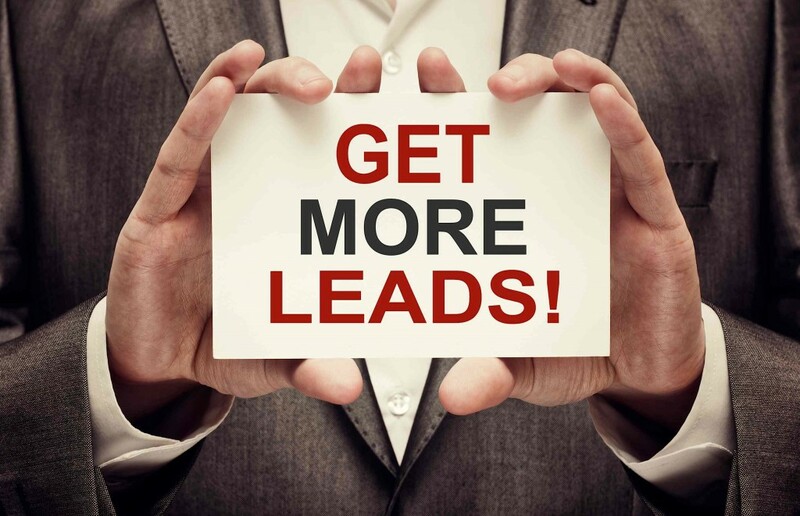 The more consistent you are with lead generation the more successful you will be.